What Do Christians Believe About Purgatory? What Does The Bible Teach? What do Christians believe about Purgatory? What denominations believe this or teach this? Is Purgatory Scriptural and if so, where is it found in the Bible? Purgatory is said to be a place where the remaining sins are purged so that the person might achieve the status of going to, or being worthy to enter, heaven. The Catholic Church teaches about the existence of Purgatory. Protestants do not teach it because they see it as an attack on the finished work of Christ at Calvary. The word “Purgatory” is not found in the Bible but neither is the word “Trinity” or the “Bible.” Many believe there are supporting Scriptures that indicate that it is both needful and that it does indeed exist. Purgatory means “a cleansing place.” Purgatory is the place where “small sins” that have been committed since the last time the person participated in the sacrament of reconciliation are purged as a person spend times there between earth and heaven when they die. The time spent there is dependent upon the number of such sins that the person committed. The time spent in Purgatory is equal to the severity of the sins that one has committed that were not forgiven before their death. The person still dies in a state of grace, but they died with sins that they either failed to pay penance for or they failed to confess before death. Purgatory is not hell because hell is for those who have never repented and placed their trust in Christ nor is it heaven because no unclean thing shall enter heaven (Rev 21:27). Purgatory is transitory or a place of transition from there to heaven. The time spent there is to purge or cleanse them from the remaining sins that were unatoned. Purgatory is said to be less of a place but a state to be in. Purgatory’s location is really unknown since no one has been there and returned to tell us and the Bible speaks of no such place; it is impossible to know. Purgatory is said to be less of a place but a state to be in. For those who believe in Purgatory, the location of the “cleansing place” is not as important as the purpose for the place. The Catholic Bible does site some scriptures from their Bible such as 2 Maccabees 12:46 where the Jews prayed for the dead who were in a place (Purgatory) where they could be helped. The prayers were thought to aid and assist their exit from such a place. and that salvation means that one believes that Jesus lived a sinless life, died in the place of sinners, was raised from the dead, and today sits at the Right Hand of God (Romans 10:9-13). I pray that you will place your trust in Jesus Christ today and be saved (John 3:16-17), otherwise you will stand condemned and judged as guilty by the Savior, the Lord, Judge, and Master Jesus Christ (John 3:18, Rev 20). Thanks again for another very interesting and informative article! I have never believed in purgatory and never will. I will never understand the Catholics and their seeming need to put a priest and now a “place” between man and Jesus and heaven. I do believe that Catholics are going to heaven because they do believe in Jesus and the gospel, but I will never understand them. They remind me of the Pharisees in the days of the Jesus’ teaching. Hello Mr. Lewis. Thank you sir for such an encouraging comment. I am with you and I, like you, believe that Catholics believe in the only name that can save them, Jesus Christ (Acts 4:12). I look forward to meeting you as well as many of them on that Great Day, which appears to be coming soon. I too find the Catholic church much in the vien of the Pharisees of Jesus time. Binding their members in religion. But, also, I do believe there are truly saved catholics. I pray that the spirit of religion be broken, not just catholic but in all the earth in all beliefs, so that the Gospel of Jesus can be first and foremost in all our lives. TPurgatory I believe was invented by catholics tho I believe their idea came from a time when old testament people died BEFORE Jesus was crucified. We catch our first glimpse of it when the rich man died and went to hell and he saw Lazarus afar off in “Abraham’s Bosom” and wanted Lazarus to dip his finger in water just to give him a drop of water. But Abraham said a great gulf separated them and they weren’t allowed to. Please note the beggar was not in heaven at this time but was at peace whereas the rich man was in unbearable heat and torment so much so that he asked for the poor Lazarus to go back and warn his rich brothers. Now read in the four gospels AFTER Jesus crucifixion and death. He had the keys and went Hades and hell. After His resurrection you never see Abraham’s bosom again. You will find many scriptures thru out the new testament that show the minute we die we go to heaven where Jesus is and if you aren’t saved you go straight to hell just like the rich man did. Great article Jack, very informative. The thought struck me as I read your article that Purgatory seems to be the continuation of the “works oriented” salvation that is often the focus of the Catholic tradition. It seems that the teaching means that, even after death, there remains the possibility of us gaining salvation through works. Just my take on it. God bless you, Jack. Thank you Robert my friend. Always the encourager and I wonder if you are not in the lineage of Barnabas, the encourager? I believe in 1 John 1:9. Thank you for this article Jack. I have quite a few friends/coworkers that are Catholics. I love them all with a “Christ-like” love. One in particular I have had many conversations with and we have both agreed to disagree on this issue of purgatory. Your article gave me encouragement and reassurance that the belief in Christ is everything and my friend does believe in our Savior. I have wrestled with the idea that maybe he would not be in heaven, but I know he believes in Christ. God bless you Jack! Your words have helped many, including me brother! Derek, you words are like a parched desert that blooms after a spring rain. I must say that I love your agreement to disagreement because truly, Jesus alone saves and I certainly don’t have perfect understanding (what an understatement!) but those things I DO know, are enough to save me. God bless you brother, you man of encouragement. I am a Catholic, I know by the grace of God I will make heaven. What one need to do, is to be born again and alway depend on Christ Jesus who is the way, the truth and the life. Amen Anyamele…that is so true. Believing in Jesus Christ alone saves us. None of us have perfect understanding but our Savior is perfect. Thank you for you comment my friend. It is very hard to reconcile with devoted Catholics about the nonexistence of purgatory especially here in the Philippines. They got stuck in their belief that they can do something for the salvation of a person who died already through their prayers and offerings. This belief disregards the finished work of Jesus Christ on the cross to give salvation to all who will believe in Him and accept Him as their personal Lord and Savior. Thank you Mr. Alvarez. I appreciate your kind words. I wish I had included 1 John 1:9 which says, “If we confess our sins, He is faithful and just to forgive us and cleanse us from all unrighteousness.” and on the cross He said, “It is finished” meaning the work at Calvary. I do not mean to sound questioning the entirety of your preaching, I am just confused in this part. Because I find that you cannot definitely say that purgatory does not really exist, and it lives me hanging. I’ll wait for your reply, GOD Bless you. Thank you Othniel for your comment. Don’t worry about sounding negative. I am still growing in the knowledge of the Bible but my point is that purgatory does not exist. That is, what I believe, I said in the article. There is no such evidence that it exists because it is not found in the Bible anywhere and therefore, I say that there is no such thing as purgatory. Does this clarify it my friend? Thank you and may God richly bless you. Is completely nice and beneficial article for the guidance of true believers. May Lord Jesus bless you more and more for His glory. Lets pray for the people and denominations which are following and teaching the wrong teachings all over the world. Stay blessed in The Holy Blood of Jesus Christ. I can across your website while doing research on an article entitled “Purgatory” Does it really excise? You have written articles and books on this subject but my question to you is this….We as Christians believe in the word of the bible and the bible does not mention the word “Purgatory” at all, so should this word “Purgatory” be put in the same category as our faith and beliefs? If we believe there is such a place that we go to after death before we can enter into the heavenly realm then believers will go there, but ones who do not believe in “Purgatory” believe that when we die, we will either inner into Heaven or decent into hell and do not linger in between. Thank you Deb for your comment and question. I do not believe that purgatory should be put in the same class as faith or beliefs because faith and belief (in Christ) is in the Bible while purgatory is not. It is written that after a man or woman dies, then comes judgment. Jesus paid it all so why would God require us to pay additionally in a purgatory for sin that Jesus took upon Himself. Its like thinking that Jesus paid it all…but I have to pay more for my own sins in purgatory. Does this make sense? There is either the destination of hell or heaven after death. I see no other options in all of the Bible. “Thank you Deb for your comment and question. I do not believe that purgatory should be put in the same class as faith or beliefs because faith and belief (in Christ) is in the Bible while purgatory is not. [So if it’s not in the Bible it’s not to be believed? In that case I hope you burned all of the textbooks you were required to read in your Moody “seminary”.] It is written that after a man or woman dies, then comes judgment [so where exactly in your KJV does it say that judgment comes IMMEDIATELY after death?]. Jesus paid it all [please explain exactly what “Jesus paid it all” is supposed to mean] so why would God require us to pay additionally in a purgatory for sin that Jesus took upon Himself [you blatantly misrepresent the Church’s teaching on Purgatory, typical of Protestant false teachers. Not one single soul in Purgatory is paying for a mortal sin which Jesus took upon himself]. Its like thinking that Jesus paid it all…but I have to pay more for my own sins in purgatory [Read 1 John where he differentiates between mortal sins and sins that do not lead to death]. Does this make sense ? “To be deep in history is to cease to be Protestant.” -John Henry Cardinal Newman. To be deep in history is to cease to be Protestant.” -John Henry Cardinal Newman. I believe Mr. Newman would be better off looking deep into history instead of His Own story! Another purpose of Purgatory is to provide Christians with accountability for their actions. You simply cannot accept Jesus as your savior and go around committing sin without recourse. Good deeds are still required to get into heaven. But good deeds alone will not save you. You must accept Christ as well. This is a symbiotic relationship. You can’t be a murderer your whole life and on your death bed accept Jesus and expect to get into heaven. You need to pay for your sins..but not through hell but through Purgatory. You have accepted Christ and you will get into heaven but not until you pay the price for your indiscretions and be cleansed through Purgatory. I see that what you mean by the word Purgatory is the consequences the Christians will face after committing certain sins. Those who are already cleansed by the blood of the Lord Jesus should not dwell on sin anymore, or get back to the old life they have already left behind, but because some still fail to maintain the holiness of God in them, by committing willful sins, even if they would be forgiven, this does not necessarily mean that the consequences they will face afterwards, the effect of their sins, will no longer be experienced or encountered. The things that we have already done, will surely have an effect after, may it be either negative or positive. That is why we should always have convictions and a repentant heart, by examining ourselves and by the intervention of the Holy Spirit. By this, somehow we will be cleansed and be forgiven and this is according to the grace and mercy of God. You should read the Catechism and learn what the Church’s position on Purgatory is before writing an article full of errors. We don’t hide the truth. It’s very easy to find. 1.It is not explicitly found in the Bible. 2.It implies that the righteousness of Christ does not cleanse from all sin. 3.It implies that justification is not by faith alone. 4.It implies that there is something we must do in order to be cleansed of sin. It is not included in the Hebrew canon of Scripture. In 2 Machabees (another spelling) 12:43-46, we have the reference cited by the Catholic Church to support Purgatory. If one would read verses 40 through 46, he would learn that God killed these people because of idolatry. According to Catholicism, if you die in the state of mortal sin, which idolatry is, you’ll go straight to Hell when you die! Therefore, according to Catholic doctrine, Judas Machabeus was WRONG in suggesting that the people should “pray for the dead, that they may be loosed from sins” (verse 46)! For a person to believe in the doctrine of Purgatory, he/she would have to be totally misinformed about the Biblical doctrines of the Atonement, Redemption and even Salvation. Purgatory infers works for salvation, a soul-damning and devilish teaching. Augustine said, “there are some who have departed this life, not so bad as to be deemed unworthy of mercy, nor so good as to be entitled to immediate happiness.”(8) This statement infers works for salvation which is refuted by Eph. 2:8,9; Titus 3:5; Rom. 4:4-6 and 2 Tim. 1:9. Consequently, one can therefore conclude that Augustine was NOT a Christian, but instead a minister and servant of Satan, 2 Cor. 11:13-15! In summary, the Apocryphal books, which include 2 Maccabees, are NOT from God, NOT inspired and MUST NOT be placed on the same level of authority as Holy Writ. For the Catholic Church to do just the opposite shows. 1. The Jerome Biblical Commentary, 1968, p. 463. Thanks for the nice apology. Nice write up. Good apologetic material. Has you know Jack I used to be a Catholic until something profound happened to me about 3 years ago,and the Holy Spirit guided me here,and I am still here. You have got all the sayings at the top in your article, which I have as well. I had a discussion about the commandments on the first and second which they changed so that they could worship idols. The guy said which Catechism have you got,and I replied it`s an old one off about 55 years ago,and it`s gone Yellow with age. He replied that`s very different to todays,and I said it`s because they keep changing it. It has all the information about Purgatory in it. Since coming on this site you have learnt me a lot of things,and I also agree with you about Purgatory. Hades is in the bible,but it is not Hell. It`s the same has the Popes,they proudly say that this is a unbroken line from St Peter. It is broken to me because there have been some very evil popes Example- Borgia is a very by word for evil,and yet they still count this guy has a Pope. I have a video of the most evil Popes in history,and I was very shocked by this,and the Catholics still count them in line. Which to me they should have been excommunicated. In a nutshell I was lost off about Purgatory and Confession. Amen Anthony. You know I was raised Catholic and there are no doubts in my mind that many Catholics will be in heaven and many won’t but same goes for many of the Protestant churches. I fully expect, from knowing you as I have the last 2-3 years, I KNOW you are going to be there and that is one of the greatest things, next to Christ, that I eagerly look forward to meeting you in person and embracing you and showering my love on you my brother. The fact is that the chain of popes is, as you say, not continuous and even if it were, Christ is the True Head of the Church and no man is or ever was. At first glance, it may appear that Jesus was referring to Peter as “the rock”, but we have to keep in mind that the New Testament was written in Greek, not English. This is one instance where the original wording reveals the true meaning of what is being said. The Greek word for Peter is petros, which means “a pebble” or a small stone. On the other hand, the Greek word that Jesus used for rock is petra, meaning “a massive rock” or bedrock. Now we can see that there is an obvious difference! Peter was correct when he stated that Jesus was “the Christ” and it was this profession of truth that the church would be founded upon: Jesus Christ “the chief cornerstone” (Matthew 21:42). Jesus was talking about building His church upon the solid bedrock, not a small pebble. Paul is clear in 1 Corinthians 3:11 “For no other foundation can anyone lay than that which is laid, which is Jesus Christ.” We can’t look to a mere human being as the foundation of the Christian church! “It is better to trust in the Lord than to put confidence in man.” (Psalm 118:8). Like David said, “The Lord is my rock” (Psalm 18:2) “And who is a rock, except our God?” (Psalm 18:31). Peter was not “rock solid” at this point in time. If we read on in Matthew 16, just a few verses after Jesus spoke of the rock, we find Christ rebuking Peter for trying to hinder His ministry: “But He turned and said to Peter, Get behind Me, Satan! You are an offense to Me, for you are not mindful of the things of God, but the things of men.” (Matthew 16:23) Later, it was Peter who denied three times that he even knew Jesus (Matthew 26:69-75). So he obviously had some growing to do in his relationship with the Lord, and Jesus knew that (Luke 22:31-32). If all the catholic hierarchy spent the all of their time teaching people about the bible and especially what Jesus said I would respect them more. Confession,Holy Communion,The Mass and the Catechism are the biggest downfalls of the Catholic Church. I will give you one incident that really made me really bad. In confession I told the priest my sins,but one particular sin he said you are on the road to hell. So I went to confession to be forgiven not to be terrified to death and this priest is suppose to forgive you in the name of Christ not so, I am going to hell. I have this mental scar of this in my head still. Well I have been on this site nearly 12 years and I am really glad God knocked me off my horse and left me here. I wish you a merry Christmas and a Happy New Year Jack and for all the presents you have “Given Me” which will not rot because they are in my spirit. I just wished I could Hug You. Jack, your words really spoke to me! You speak like a true Christian. There are a few friends of mine that I’m trying to bring to church with me, but they don’t want any part of it. What can I say to get through to them? You seem to know exactly what to say, so what do you suggest? Thank you Jessie for reading this article. I don’t always know what to say. A few of us in the church that I pastor at have agreed to invite at least one person per week to church. We know we can’t make them. God can. Everyone’s heart is in God’s sovereign hands (Prov 21:1). We just stay faithful to that and now a few others have started doing this. They say 76% of people who don’t attend church have never been asked. Ouch! That’s our bad. Just ask them, “Would you like to sit with me at church this Sunday?” Have you ever thought about death?” Or just different things that come to my mind. God will give you the words. The power is in the gospel and no our words (Rom 1:16; 1st Cor 1:18). Just invite people and trust God and leave the results up to Him I thank God for you and your faithfulness to the Great Commission. May God richly bless you for that my precious friend in Christ. Good article from a Protestant perspective. However, the belief of a transitional purification state after death into holiness before entering Heaven is part of Catholicism and Orthodoxy since the early Church. Contrary to what the author stated, praying for the dead who are not martyrs was written extensively by Church Fathers (not all of them write about it obviously; do the research yourself). By denying such a transitional state after death or ‘purgatory’ as called by Catholics , the Protestant churches reject 1,500 years of Christianity still practiced by the Catholics and Orthodox today. Sola Scriptura is flawed because the pillar and foundation of truth lies in the Church (1 Timothy 3:15); also, please cite where in the Bible that everything has to be found in the Bible….May Almighty God bless you and the Holy Spirit fill you up. Indeed. The temporal consequences of sin must be paid, in this life or the next. Whosoever shall call upon the Name of the Lord shall be saved, but even so, God will not allow anyone to profit from sin. The pleasure you have derived from sin, and the pain you have inflicted on others by your sin, must be repaid. Furthermore, there is no expiation of these consequences without repentance. Until you repent, both your virtues and your sufferings are worthless. Now, once you are cleansed by Christ, your prayers and the prayers of others for your sake can speed the purification, but it still may not be completed in your lifetime. Whatever dross remains on your works will be burned up at the Judgment Seat of Christ, and you shall suffer loss accordingly. As your works are your garments for eternity, this will be painful, just as it would be to set your perishable clothes on fire while you wear them, but once it is complete, the pain of penance and the refiner’s fire will give way to the joy of Heaven. How long will this process take? God alone knows, but it shall take no longer than the time from now until Judgment Day. I am a Catholic. Yet there are many teachings disturb me or which I cannot accept, like the Purgatory. Immaculate conception, “virgin” Mary Assumption,etc. But I do know one thing: Faith in Jesus will save me. Hello Jose. I am troubled by the Catholic Church’s teachings too and purgatory and Jesus’ perpetual virginity is another. She was a virgin when Jesus was born but had other children afterwards. Faith is fine but Jesus said we must worship God is Spirit and in truth (John 4:24). God will not accept worship that is in error as the Catholic Church has many. Hi, I came across your article while researching purgatory. I have mixed feelings about purgatory, but I think I’ve come to terms with it. I do not believe that anyone enters purgatory once we die. I believe we all meet Jesus because the only way into heaven is through him. After that we either enter heaven or are cast into hell. However I think with that being said purgatory could exist just not in the way that some denominations teach it. I think purgatory could possibly be the time when the rapture occurs. After the rapture there will be people still on this earth. I believe Earth could be purgatory and that we’ll be giving that time and one last chance to cleanse ourselves of sin. Hello Julie. Thank you so much for your comment. God bless you. I love that you are just focused on Jesus. He is the only way. So true. There can be so much confusion about certain teachings of Christian faith, particularly Catholicism and Protestantism. I was raised the latter but since Catholic college theology courses have identified with much of Catholicism and do believe somehow there should only be one true church. The arguments against purgatory make sense to me but I still am not sure…as with so many other things. And it seems so impossible sometimes that a sinner like me could have eternal life. And yet that’s ultimately what I believe. I believe Jesus Christ is real, that he died for my sins, was resurrected and still lives, and that no matter how much I fail in thought and deed my longing is to serve him and to one day be with him. What else can I say other than if Jesus does not save and didn’t complete our salvation on the cross, then I feel there can be no hope for me. Even indulgences and purgatory seem to wide a bridge to cross. I hope the one thing that matters is believing in Jesus, striving to let the Holy Spirit inhabit my soul and drive my behaviors and when all else in my weak human spirit fails…which is seemingly every minute of every day…confessing my sin to Jesus and trusting him to take care of the rest. I struggle to devote the time I should to prayer and Bible study. I have not paid on earth for all my sins and it frankly terrifies me to think of what I’d need to endure to be further purified. My one hope is that Jesus’ death and my acceptance of it for payment against my sins is all I need. If I’m misguided in this please tell me. Hello Matt. 1 John 1:9 means what is says and then 2 Cor 5:21 is true. We know these two Scriptures cannot be wrong. Trust them and not your feelings. All who believe in Christ, even if they die, will yet live again (John 11:25-26). I hope I have helped you sir. Dear Pastor Jack, Loving Greetings sir. I am a staunch Catholic. I am happy that I could read your article on purgatory. Your article is informative and your way of writing is good without hurting anyone’s feelings. As I believe in purgatory, I have added some ways to avoid it in my blog. Thank you very much. Hello my friend. THank you for your comment but I did not allow the link because too much of it was like “works” that could keep someone out of purgatory and works cannot help us. Jesus paid it all so there is no need for others to pay again in purgatory and something you wrote on your blog troubled me. It was where you wrote, “If you take an oath now to pray the Holy Rosary Prayer everyday starting from today without fail, you will receive special insight and help to detest sins and all that is worldly, from Blessed Mother who is always concerned about the welfare of souls.” My friend. Mary cannot help you. We have one Mediator and that is Jesus Christ. I pray you see that someday. Shame on you Jack to say Mary had more children after Jesus. Keep Mother Mary out of this and quit judging others beliefs and saying what’s right and wrong. Let us have our own opinions just like you do and find out in the end what’s gonna happen to us. God does love us all and will save all who want to be saved. In the name of Jesus Christ Satan be gone. Pray, hope & Don’t Worry! Hello Robert. The Bible says Jesus had brothers and sisters and I cannot back away from the truth. I am sorry if it offends you but I judge no one. The Word of God does that. It’s funny how your a man of God but yet you’ve put urself on the same level as our Lord Jesus and condemned Catholics believing in purgatory. That catholics are not going to heaven and are going to hell. Leave judgement day to our Lord who is free from sin, dont condemn it’s not your place. Iv just read an article about purgatory by Tim Staples and his writing was much more clearer and on point I recommend not only the readers to read article but you also Jack. Receive abit more knowledge. I believe purgatory exists. Hello Julie. Wow. No one wrote in this article that Catholics are going to hell. Many who are in the protestant churches and Catholic churches may not really be saved but many are, so I never stated nor would ever state Catholics are going to hell, but purgatory and Mr. Staples writings are not from the BIble but from human tradition, and purgatory is like saying Jesus’ blood was not enough and that is heresy, so it is what it is, but please don’t put false words into my mouth saying Catholics are going to hell. You and Mr. Staples need to find a good church that teaches correct doctrine about heaven and hell, because purgatory is not found in the Bible but in the human imaginations only. If you believe purgatory exists, you don’t believe that Jesus paid it all, and that’s apostasy-type teaching. Please find a good study Bible. CRIMINAL BE WAS SENTENCED TO SOME YEARS IN JAIL. WHO AMONGS THIS TWO HAVE HOPE? WHEN A CRIMINAL IS SENTENCED TO DEATH, THERE IS NO HOPE OF LIVE FOR HIM BUT WHEN A CRIMINAL IS CONVICTED HE HAS HOPE TO LIVE. THERE IS NO CONDEMNATION FOR HE WHO IS IN CHRIST JESUS, ALL HAVE SINNED AND FALLEN SHORT OF HIS GLORY, NOTHING UNCLEAN SHALL SEE THE KINGDOM OF HEAVEN, AND NO SIN SHALL BE UNPUNISHED, THE SOUL THAT SINNETH SHALL DIE, SHALL WE CONTINUE TO REMAIN IN THE SIN FOR MERCY TO ABOUND? WE ALL KNOW THAT WE STRUGGLE WITH SIN IN EVERY DAY OF OUR LIVES AND IT IS GOD’S DIVINE JUSTICE THAT WE PAY FOR ALL OUR SINS ON EARTH. PURGATORY IS A PRODUCT OF GOD’S DIVINE MERCY FOR THE SOULS THAT ARE SAVED FROM ETERNAL CONDEMNATION. AFTER DEATH COMES JUDGEMENT, THEN WHAT HAPPENS WITH RAPTURE? WHEN OUR BODIES AND OUR SOUL SHALL RISE ON THE LAST DAY? Hello friend. 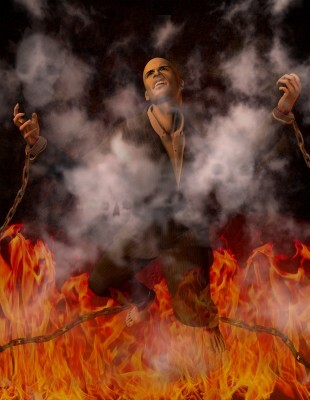 The Bible does not teach purgatory and it is not found in the Bible. Is that what you are saying?